I can recommend this course to everyone who is doing research on observational data as it can provide you with many practical tools for methods on how to make causal inference in epidemiology. However, for non-statisticians, having experience and having attended courses on epidemiological methods previously, which should include courses on regression modeling and causal diagrams, will be very helpful for the understanding. In addition, one should be familiar with STATA. 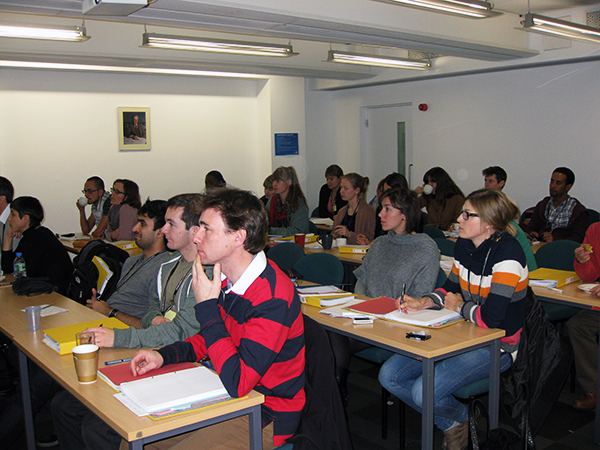 This course was held at the London School of Hygiene and Tropical Medicine and lasted for a week. It started with an introduction of causal language, causal diagrams, what assumptions causal inference in epidemiology are based on and how causal diagrams and assumptions are related. 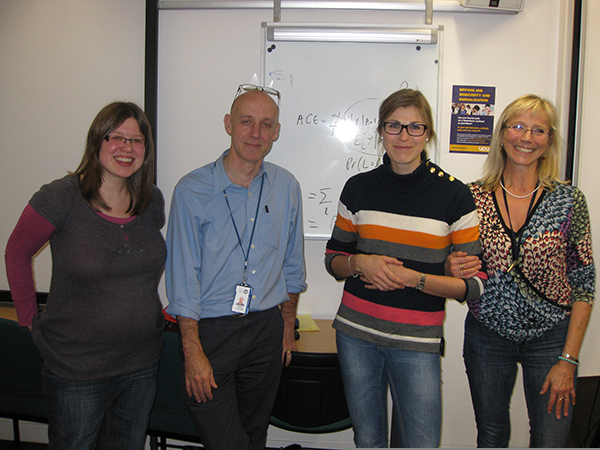 It then continued with more complex issues within these topics, with how to use/deal with instrumental variables, time-dependent confounding and intermediate variables being central. It was summed up by a lecture on how to perform sensitivity analyses in epidemiology, and a short lecture on how to deal with missing data. I think the main thing I learnt was to think in terms of potential outcomes and to be clear about assumptions for analyses. Every 1.5 hour theoretical lecture was followed by a 1.5 hour practice session were we solved exercises in STATA concerning what we learnt in the foregoing lecture. There was not enough time to do all exercises, however we got solutions and do-files with us and have the possibility to continue practicing at home. On Wednesday evening we had a course dinner with all participants and lecturers in a nice London restaurant. I would like to thank the school and their excellent researchers for this nice and important course, and I would also like to thank EPINOR for their information and financial support.